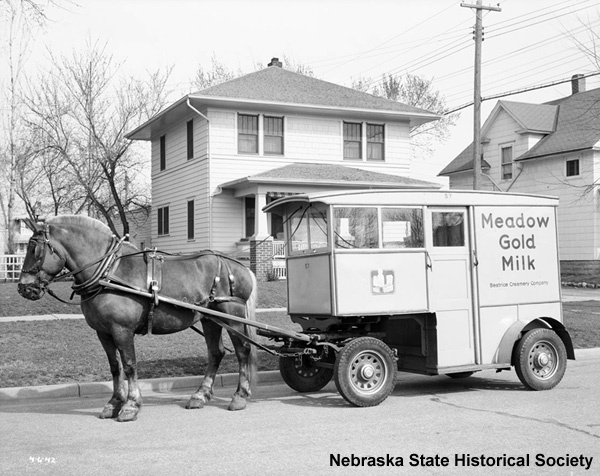 Horse-drawn milk wagons were left over from earlier times, but remained common through World War II. Such horsepower would come in handy when mandated gasoline rationing began by the end of 1942. Rubber tires were also rationed during the war, but at least at a horse’s walking speed the milkman wouldn’t wear them out too often.